Attend the Complete Healing School and receive your Certificate of Completion! This is available for those who have met the rquirements and participate during the Complete Healing School and Ordination. This is not ordination but an option for those who would like to have the certificate of training with Joan Hunter Ministries. Attendance at all 10 services are required. Reading Healing Starts Now! Training Manual prior to attending is recommended. There is a $125 participation cost. This covers your lunches during the healing school, a printed 4x6 photo with Joan Hunter and your Certificate of Completion. Recommended Materials Package for the Certificate of Completion. Please read Healing Starts Now! 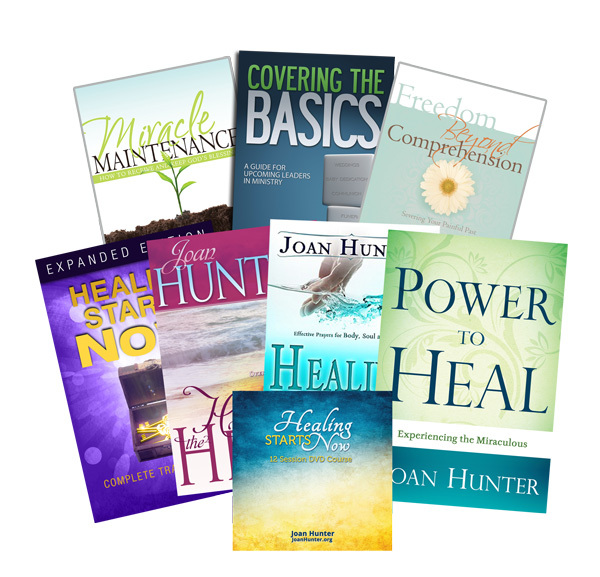 Expanded Manual and watch the 12 Hour DVD set before attending the Healing School. This is not required – but HIGHLY recommended.